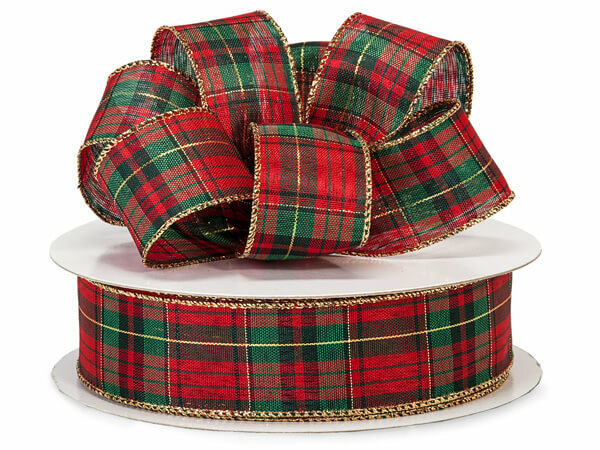 Complete your Christmas and Holiday packaging with these traditional designed ribbons. Choose from plaids, checkerboards and solid color designs to put the finishing touch on your gifts or gift baskets! Each ribbon has a wired edge which makes bow tying easy!